Nix’s many existing fans will seize this book with enthusiasm, but readers new to his work will be puzzled by it. The book is a curious assortment, clearly intended to bring together stories which have hitherto lain scattered in anthologies. Each is introduced by an author’s note, and the final section consists of ‘Frequently asked questions’ received by Nix from his committed readers. The book has the air of being addressed to a large circle of knowledgeable devotees. For them this is plainly an essential work. Readers coming new to Nix will have a different experience. 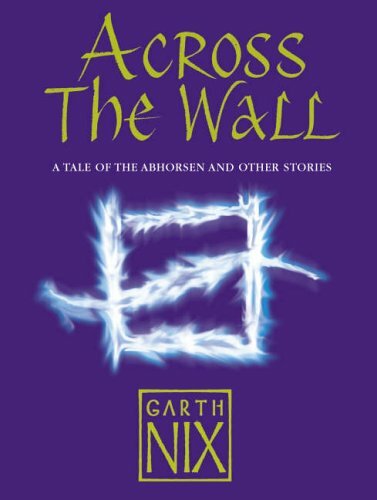 The first third of the book consists of a novella, ‘Nicholas Sayre and the Creature in the Case’, a comic-horrific fantasy which will be mystifying and sometimes downright unintelligible for readers unfamiliar with Nix’s earlier novels in ‘The Old Kingdom Series’, Sabriel , Lirael and Abhorsen . The rest is a mixed bag. There is a war story, ‘Charlie Rabbit’, about children buried under their house by a missile attack, and an effective tale about environmental conservation, ‘The Hill’. In sharp contrast is a lengthy parody of choose-your-own-adventure games. An intriguing western is set in an alternative America with a different history. Other variants of fantasy include Arthurian legends and traditional stories. Two of the best tales are the shortest, a flawless miniature parable called ‘Three Roses’, and a brief symbolic tale on the mercy of death called ‘Endings’. The resulting book is a hotchpotch, the assorted work of a popular writer designed for those with whom he is popular. Its effect on new readers is more likely to be deterrent than inviting.